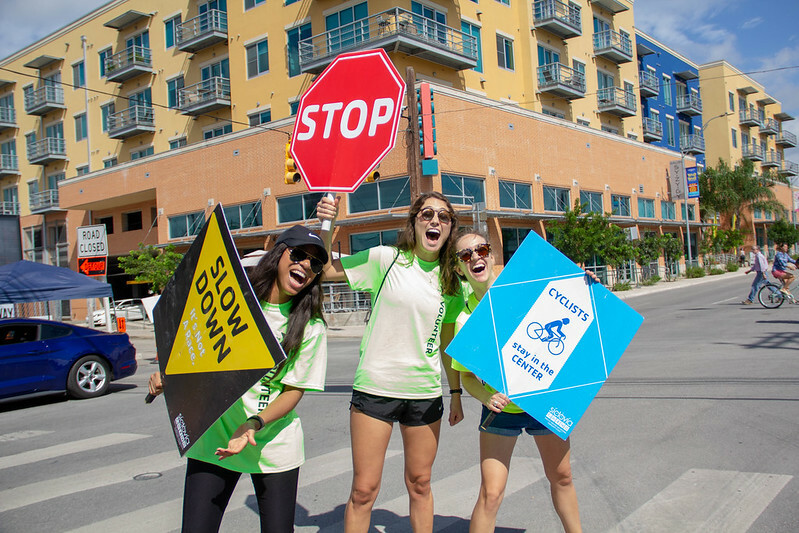 Síclovía is a free, bi-annual event, organized by the YMCA of Greater San Antonio, that turns city streets into a safe place for exercise and play. The family-friendly event encourages residents and visitors to get out, get active and explore their city through car-free streets. The Y accomplishes this by activating parks, bringing exposure to local businesses and inviting community organizations. Participants can enjoy walking, biking, exercise classes, activities for youth, treats for their pets, food trucks and more.